By doing all three he figured out how to perfect his golf swing. Do you think he could win over Tiger Woods? I think not. Tiger Woods perfected Hogan’s three P’s and added Innovation. He uses technology, mentors, strength training, dietary training, and more. Tiger has been able to learn from other greats including Hogan, Arnold Palmer, Julius Boros, Bobby Jones, Sammy Snead, Lee Trevino, Jack Nicklaus, Greg Norman, etc. Tiger often acknowledges the people who have helped him including his father. Nobody goes through life alone. Your successes are an accumulation of the things you have learned and the ideas you have gathered from the people you’ve met along the way. Remember: You’re standing on the shoulders of giants. For me I have added a few more P’s to the decision making process. In every opportunity I am careful to ask some important questions. Is this a distraction disguised as an opportunity? No should be the answer. If it is a real opportunity then I ask three more questions. If I can’t get a NO to the first question the next three are not even considered. Assuming #1 was a NO then I must get two of the remaining three to be positive responses. Again, if not then the final ‘P ‘ is to piss off. Sorry if that offends you but in today’s world, real time, is the only time. And wasting time is not what I want to do. So #1=NO 2-4 must have at least 2 YES and if not , you know what to do with the final P.
As you grow and develop in your business, industry, community and family, your growth comes from those who came before you. Learn from their failures. 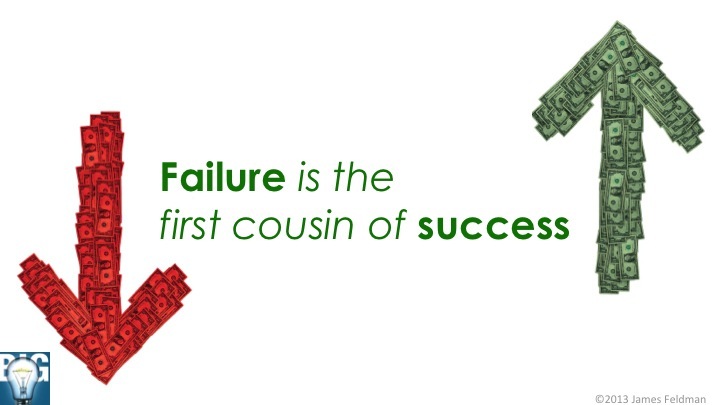 Failure is the first cousin to Innovation. We must allow a safety zone for failure. It is the way we learn about what works and what doesn’t. Focus your time and money on what works. Don’t be afraid to Innovate. Be proactive and do not rely on what worked in the past but what works for the future. This is success not failure. Doing what you did in the past is the fastest way for failure. Never stop learning. Never stop improving. Never stop taking a risk. Analyze the details and share the information with your clients. Learn how to ask luminous questions and you will see the light. You are paid for your wisdom. Knowledge is the information you get from reading books. Wisdom is what you’ve learned from your experiences. You have experience in your business. You clients have experience using your product or service. Become the expert resource in their business and become a transformational resource for your client. RULE 6: Significance is something we produce by the relevance others place on what we do for them. You know have the 6 Myth Business for 2013. Tough time times produce assumptions and sometimes they are wrong. Assumptions often develop into myths that retard our growth. “When you are growing you are green,” said Ray Kroc, Founder of McDonald’s. Always reach for a higher goal and develop a plan to reach them. Certainty is what makes will happen, but don’t let the fear of making a mistake keep you from reaching new heights. Goals are nothing without an action plan. Dispel the myths and create your own rules. Read everything you can from the great thinkers. Learn from others mistakes and build a brain bank. Do not be afraid of life. Believe that life is worth living and your belief will create the facts you need.